That trumpet buzz you hear during games played south of the equator. After much protesting, the Vuvuzela has been allowed at this years WC. Hardened soccer fans claim they will not much mind the noise emitted from these awful devices. They are a custom to many annoying chants, bells, horns, rattlers things at games but to me the vuvuzela is terribly annoying above and beyond the other stuff. FIFA looked into banning them last year but the South Africans claimed that it was an important part of their fan culture and history. After all soccer games seem to be a celebration. 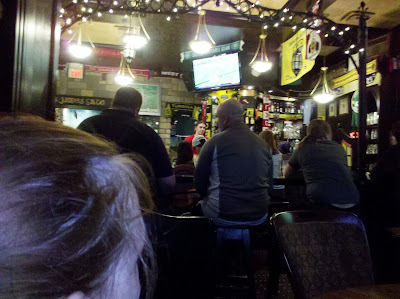 I sat down this morning to watch the US / Australia game this morning at my local Irish pub. Man, am I ready for the WC this year. Irish Coffee, good company, good stuff. I left the pub shortly after the first half of this friendly and turned on the game here at home. I had to turn it down because of the vuvuzela noise. A note to myself was made. The vuvu is here to stay, I'll get over it. Hello Claddagh Irish Pub. I had a hard time with the vuvus for the 1st 15 mins of that match too. I can't imagine being in the stadium though, that would kill me.